This delicious looking cream tea was taken by @lindaloves2012 at Lands End. 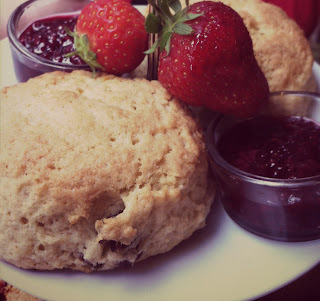 We're not sure which tea room it's originated from, but coming from the home of the cream tea - cornwall - we're betting that it was truely scrumptious. The clotted cream in particular looks amazing. Certainly one to look out for if you're ever in the area! 2. 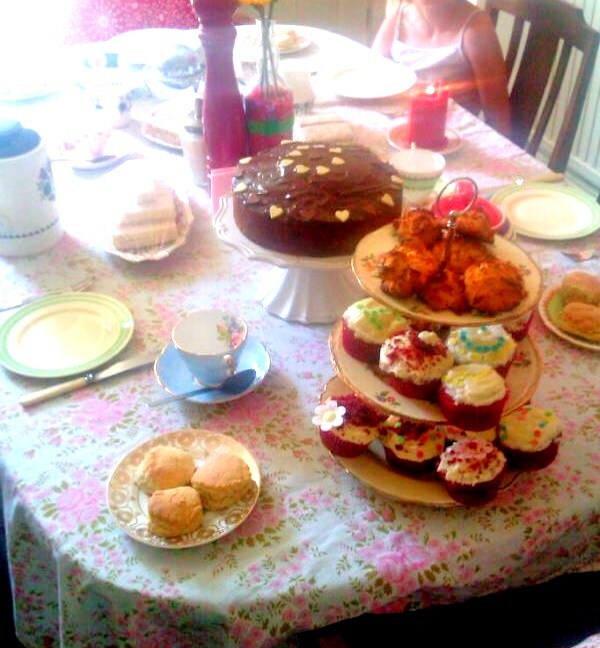 Eilis and Kat's Afternoon Tea. You don't have to travel far for a yummy afternoon tea if you've got the right ingredients at home. Check out these creative cakey treats submitted by @goodgobbleblog who spent an afternoon with two little helpers, making banana and chocolate sour cream cake. Check out their blog for the recipe -we're thinking of giving it a go too! 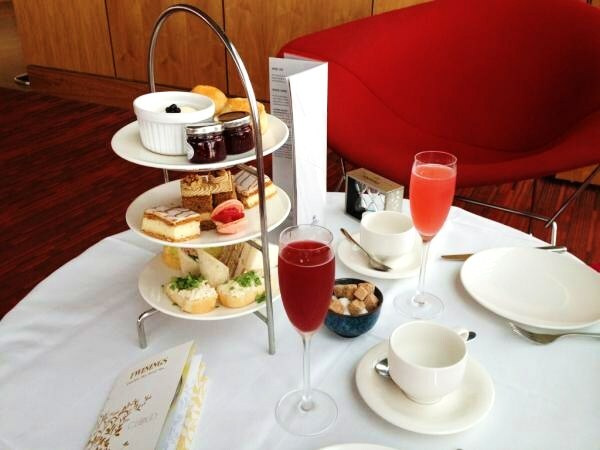 This fancy little afternoon treat was submitted by @cakesbysian from her visit to Cloud 23 at the Hilton Deansgate. Their special “High Teas” are served between noon and 4 pm daily and serve up some of the best tea – and views – the city has to offer. 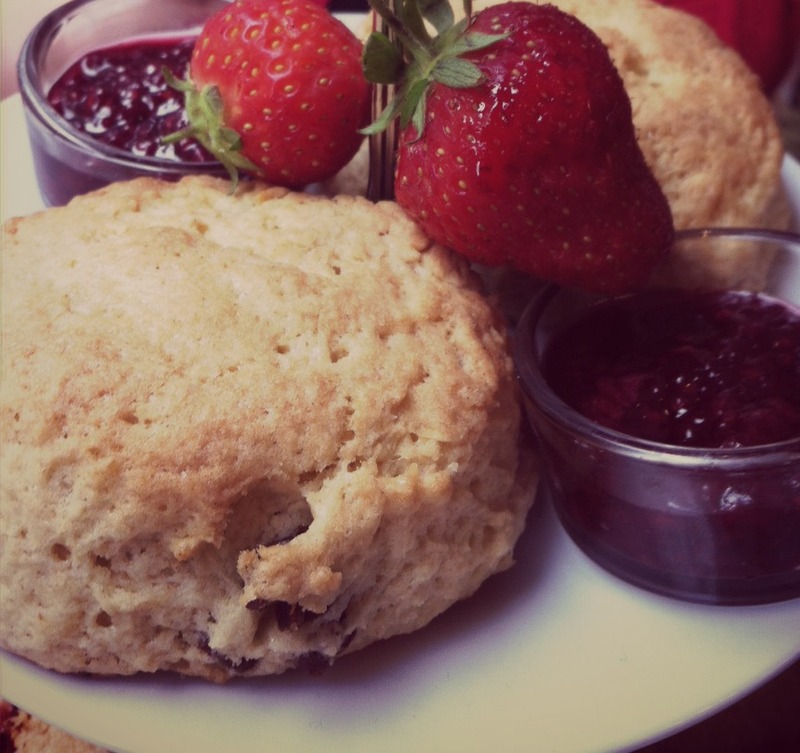 For £16.95 you can treat yourself to a selection of fingersandwiches, scones and a choice of cakes from eclairs to Victoria sponge plusunlimited tea or coffee. If you’re feeling fancy, make it a champagne afternoonfor an extra £10. Hilton’s Cloud 23 is the epitome of modern, city chic décor.Mesh seats, high tables and even a private lift to get you there, it reallydoes make you feel on top of the world. @VintageMCR recommended an afternoon at Manchester's only vegetarian bistro. Looking at the yummy photos on their website - their afternoon tea might be worth turning veggie for the afternoon! 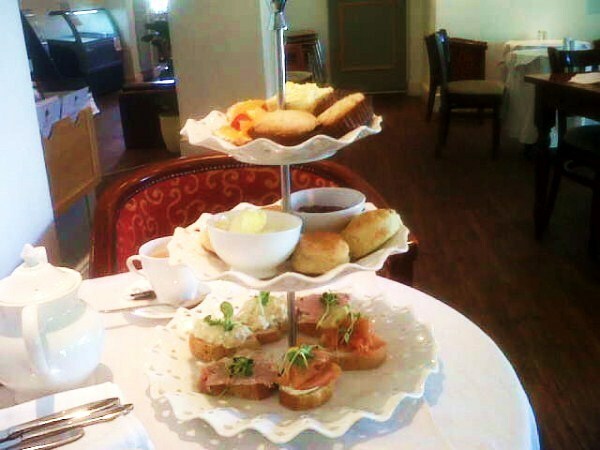 This elegant afternoon tea was tweeted by @ChattyMand from her visit to this quaint tea room in Stockport. 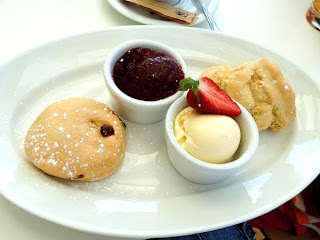 Beautifully presented and those freshly baked scones look absolutely delicious. We're adding this one to our cake bucket list! We'll be back soon with some more reviews from our travels, but in the meantime, if you have any comments or pictures that you'd like to share with us, then send them to theafternoonteaclub@hotmail.co.uk or drop us a tweet @TeacupReview. Happy National Afternoon Tea Week Everyone!